For enthusiasts of beautiful furniture, this week Sotheby’s auction features some of the most celebrated pieces of ANGLO-INDIAN CARVED AND PARCEL-GILT IVORY furniture ever made in India. 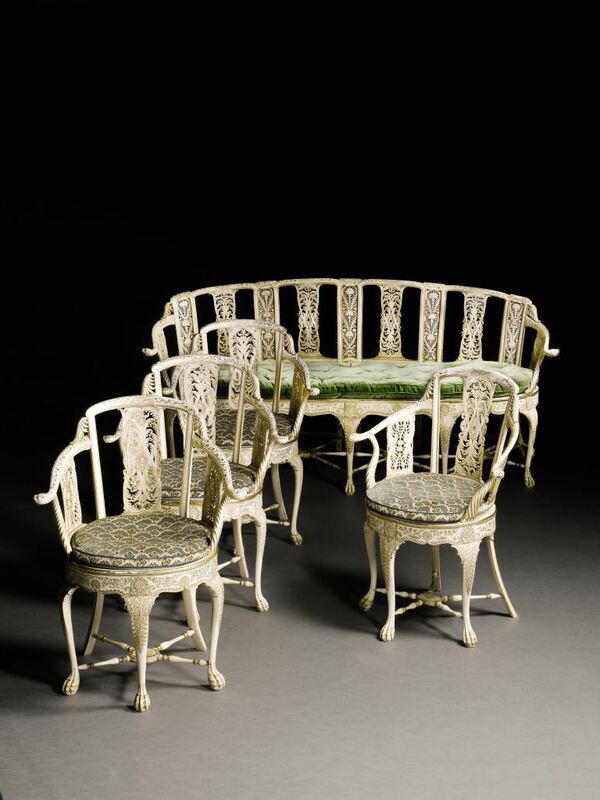 Made in Murshidabad in the late 18th Century, from solid ivory, the two pairs of chairs and settee were once part of a suite of furniture commissioned by the Mani Begum – widow of Mir Jafar, Nawab of Murshidad- for Warren Hastings, Governor General of Bengal. The items represent a rare opportunity to acquire an exquisite example of the very best decorative arts from the Indian Subcontinent, showing the cross cultural fertilization of that historical period and an important document of the diplomatic relations between Indian rulers and the British Empire. It is of course a rare opportunity for connoisseurs to collect and preserve what are truly important and much published and lauded pieces fit for a museum or a palace. 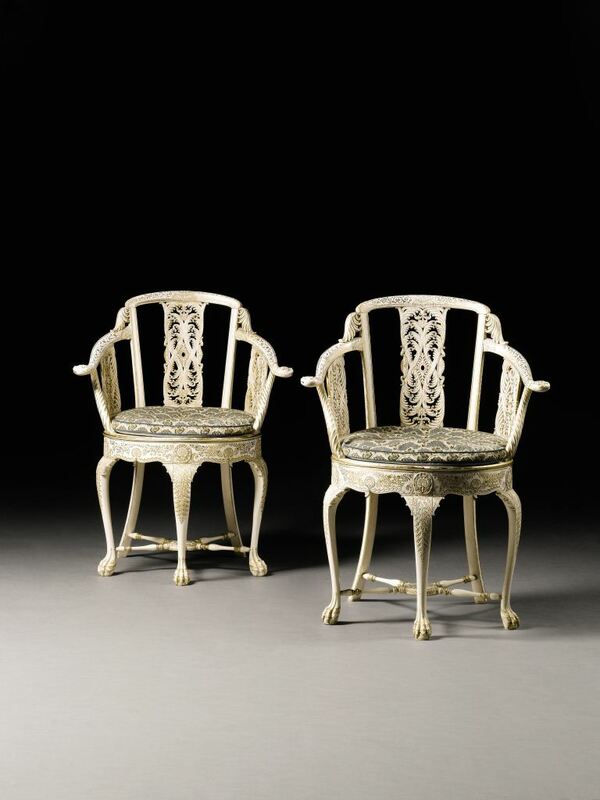 Sotheby’s- A Connoisseur’s Collection auction on 4th December in London. Posted on December 3, 2013 by AparnaPosted in Decor, Design, Luxury, News, ProductsTagged Auction, British Empire, decor, furniture, Indian Subcontinent, Interior design, Lifestyle, Luxury, Sotheby's, Vintage, Warren Hastings.